Vetsbridge provides a range of optional services to veterans and Employers to complement and add additional value to our core career matching service. The additional services provided through Vetsbridge for veterans and Employers are described below. Most American companies today use pre employment background checks to determine if a person is suitable for employment. However, pre employment background checks rely on public records, and with billions of records circulating in multiple national data systems, law abiding citizens are sometimes inadvertently mistaken for people with criminal records, which can result in disqualification from a new job. The best way to prevent being mistaken for a criminal is for people to run their own pre employment background check before they begin a job search. This can help the person discover if they are at risk for mistaken identity and give them time to distinguish themselves from any bad apples before they start the interview process. Through our partnership with Precise Hire, Vetsbridge provides its veterans with access to a self-background check, which includes the same searches that most employers will require on a pre employment background check, making our veterans more competitive for a new job. In addition to the sourcing and introduction of early career professionals, Vetsbridge also makes available a range of additional services to make the recruitment and selection more efficient and effective. An employer can use the basic Vetsbridge matching service or choose to add one or more additional services to create a comprehensive selection process right within Vetsbridge. The following assessment and screening services are provided at an additional cost depending on your need. Vetsbridge provides Employers with the option to formally assess the professional/personal attributes of veterans as well as select from a range of other skill assessment tools. If an Employer is interested in comparing the veteran's Vetsbridge attribute self-assessment with formal assessment results, this can easily be done by selecting to use the formal attribute assessment tool offered on the site that specifically incorporates Vetsbridge’s attributes. Vetsbridge also provides access to a range of other formal skill and ability assessments. The assessment program can be customized to meet your specific need. For example, you can assess matching veterans on an individually selected basis or set up for auto distribution to all veterans with matching career Profiles. Want to learn more about a veteran who matches your Career Profile? You can accomplish this easily using the supplemental video interviewing service available through Vetsbridge. 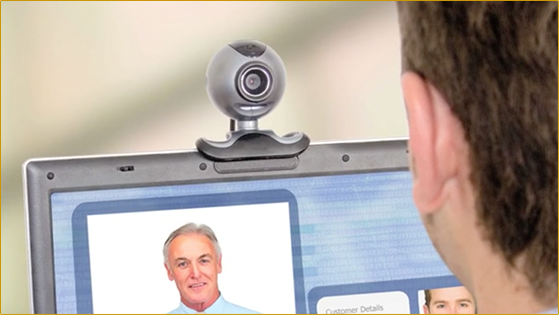 The video interviewing service allows you to choose from a pre-set video interview that veterans respond to, or schedule a face-to-face video interview depending on your needs and interests. Video interviews can assist in standardizing the initial phase of the selection process, allow for others within the organization to review candidate interviews, create documentation for initial interviews, provide more information and exposure than phone interviews, save time and save travel costs. Through our partnership with America's fastest and most affordable background screening company, Precise Hire, Vetsbridge provides access to superior quality, technology-driven and fully compliant background checks that can give your company a competitive edge in hiring the safest and most qualified talent. We offer a comprehensive electronic solution that can get you to the onboarding stage faster with people ideally suited to move your company in the right direction. You can obtain specific employment background screening options or design a customized solution that will save you time, maintain compliance, reduce cost, increase productivity and improve informational results. VetsBridge.com is a career management service that aims to bring veterans seeking jobs after the military and employers together. Unlike job boards and other self-help resources for returning veterans, VetsBridge.com is a service that makes it easier and faster for veterans and employers to find each other. The site is aimed specifically at veterans and military friendly employers that seek skilled hires. With more than one million service men and women returning from active duty in the next few years, making those connections and helping companies find great employees has never been more important.